The Ford Excursion was released in 2000, proving to be Ford's largest SUV available at the time. While other SUVs were based on the popular F-series truck, the Excursion was specifically made similarly to Ford's Super Duty line of trucks. Significantly heavier, larger, and more powerful than other trucks produced by Ford, the Super Duty line was meant to provide consumers with considerable power and size. The Excursion translated this design and these qualities into a full-sized SUV. The Excursion sold relatively well upon its introduction, but felt out of favor due to rising gasoline prices. The vehicle, which had notably poor gas mileage, was unable to keep up with consumer demands for better performance with less gas usage. As a result, sales suffered. Eventually, Ford decided to discontinue production of the Excursion in 2005. It was replaced by a longer, more fuel-efficient version of the Expedition known as the Expedition EL. Due to the massive size and weight of the Excursion, it wasn't designed to be classified as what is traditionally considered a consumer vehicle. Instead, the classification was more suited to commercial use or use on a farm or ranch. This heavy-duty vehicle isn't designed to safely handle the sharp turns or jolts that may be required or occur on a highway. If a driver attempts to turn or swerve too strongly, the size and shape of this vehicle may cause it to roll over. The Ford Excursion was a massive vehicle, both in height and weight. At its release, the Excursion's 80 inch height exceeded Ford's popular Bronco line, the Expedition that replaced the Excursion, and the competition's Chevy TrailBlazer. Comparatively, the wider wheelbase was meant to make up for this additional height. However, in reality, these vehicles had a significantly raised center of gravity that could prove very dangerous in a sharp turn. If an Excursion was brought into a tight turn or swerve, the driver could lose control over their vehicle. As a result, the vehicle's high center of gravity may cause it to tip over and eventually roll. These rollover accidents can cause very serious injuries to anyone inside, as safety devices such as airbags and seat belts provide minimal protection in these circumstances. During a rollover accident, the support beams that attach the roof and the passenger cabin are responsible for holding up the complete weight of the vehicle. However, given the immense weight of the Excursion, this simply isn't possible in many accidents. At well over three and a half tons, the Excursion's extreme weight is often far too much for the roof support beams to handle. As a result, the weight of the body of the vehicle can crush the roof into the passenger cabin. Anyone trapped inside the passenger cabin during these terrifying roof crush accidents may sustain severe injuries to their neck or head. These injuries may require both immediate emergency treatment and long-term medical care. Tragically, many of these accidents also prove fatal. 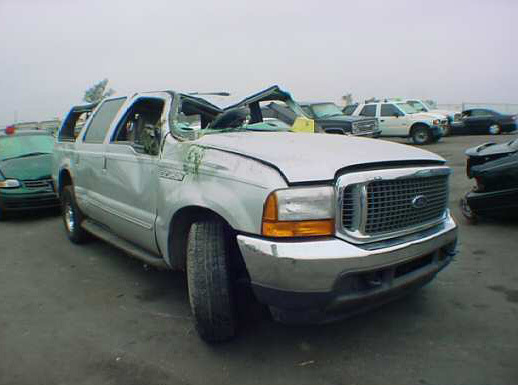 An injury you or someone you love has sustained because of a Ford Excursion rollover and roof crush accident may be grounds for a lawsuit in which a person might recover financial compensation. This compensation may be able to cover the high costs of medical care, out-of-pocket injury costs, and even the value of wages lost during recovery. To discuss your options in full detail with an experienced legal adviser, contact the Willis Law Firm today by calling 800-883-9858.